Get to know the 58-year old designer Tom Ford, before he got famous (e.g. Former Gucci Designer and Yves Saint Laurent). IMDB reports Show Business (TV Series) was Tom Ford's first TV appearance in 1992. His home town is Austin, Texas, U.S.. His parents Shirley Burton (née Shirley Ann Thrasher) & Thomas David Ford are of English ethnicity. 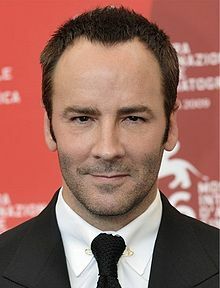 Tom Ford was born on August 27, 1961 on a Sunday. Share your real life experiences with Tom Ford here and rate your meeting! Correct our wiki/bio - is he not gay or straight or of different heritage? Let us know!